Are you getting ready to go on a vacation or have a big event approaching, such as a wedding or anniversary, and want to look your best? Many people know that special occasions often involve a lot of photos being taken. It especially doesn’t help that we live in a world focused on social media, and our friends and family want us to upload our experiences. This can make a person feel insecure about how they are going to look. Many people notice when recording their memories that the camera is not always their friend. The lens can reveal characteristics of the face that can make someone appear tired or worn out in pictures. Facial fine lines and wrinkles caused by aging, the sun, and genetics can be difficult to get rid of or even cover up with makeup. Surgical procedures such as facelift surgery can address facial aging; however, results are not immediate, and the recovery is long. When a person wants to quickly “fix up” the face, they may be better suited for non-surgical options such as injectables. Facial injectables and fillers are excellent options for those who need to “touch up” fine lines and wrinkles so they can be ready to face the camera and the social media spotlight. 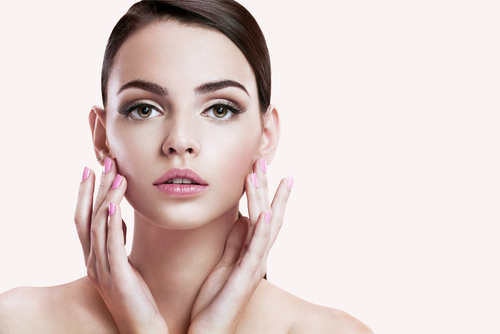 We offer a variety of facial injectables and fillers that can meet your goals of achieving younger, more rejuvenated skin. The right injectable for you will depend on your area of concern. Patients can undergo any of these treatments in-office and be in and out in the same time as their lunch hour. With minimal side effects and immediate results, injectables and fillers can provide a younger, smoother facial appearance overnight! JUVÉDERM®: Contains a type of hyaluronic acid with HYLACROSS™ technology that targets facial lines around the nose and mouth. RADIESSE®: A collagen alternative made of calcium hydroxyapatite that restores volume in the cheeks, below the eyes, and along the nasolabial folds. Restylane-L®: Made up of hyaluronic acid and treats the cheeks and nasolabial folds. Sculptra® Aesthetic: Made of poly-L-lactic acid and used to target the areas around the eyes and nasolabial folds. PREVELLE™ Silk: Made up of hyaluronic acid and used to fill in volume around the nose, cheeks, and mouth. Perlane®: Contains hyaluronic acid and effectively adds volume to smile lines and the lips. To find out which injectable would work best for you, schedule a consultation with Dr. Dubrow today. You can contact us by calling (949) 515-4111 or by filling out our online contact form.